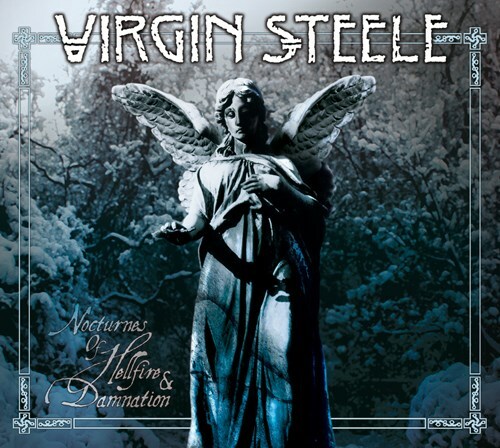 Long-running American metallers VIRGIN STEELE will release their new album, "Nocturnes of Hellfire & Damnation", on June 17 in Scandinavia, June 19 in Germany, June 22 in the rest of Europe and June 23 in the USA via SPV/Steamhammer. It will be made available in physical format with three different covers — as a standard 1CD version (the gargoyle cover), 2CD digipak version (the angel cover), 2LP gatefold version (the flute playing skeleton cover) — and as a digital download. The song " ueen Of The Dead can be streamed using the SoundCloud widget below. 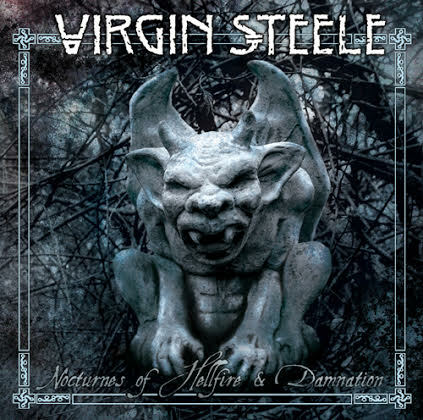 Comments VIRGIN STEELE singer David DeFeis: "Our new album, which is called 'Nocturnes Of Hellfire & Damnation', is not a concept album per se, but there is a through line that connects the tracks. The lyrics essentially deal with relationship issues, and by that I mean the connections between entities, as in all sorts of beings, not only human being, but also gods and goddesses, spirits, elements, or whatever, plus various creatures, animal, vegetable and or mineral, but largely the album is about connections between people. People and their belief systems, people and their gods or goddesses, people and their life philosophies and also the various substances we invest or inject into our daily or nightly rituals and our worldview, and all the complexities of what drives us, makes us who we are and takes us where we may or may not be going. "To sum it up, this album is about all the various ways in which humans can entangle themselves, or destroy themselves, so the album's title essentially encompasses what the vibe of the whole work is about. "The title relates to the album in the way that the title 'Noble Savage' or 'Age Of Consent' expressed each of those particular works. The title provides a framework and connective tissue, but each song is really its own thing. "Musically, the album is pretty heavy, high energy, often dark, at turns melancholy, and at turns aggressive or angry sounding. It does have that over-the-top bombastic heaviness that we are about, and the whole barbaric-romantic thing that we are known for. "The overarching theme that comes to mind when I think about the album or listen to it is passion… raw passion. 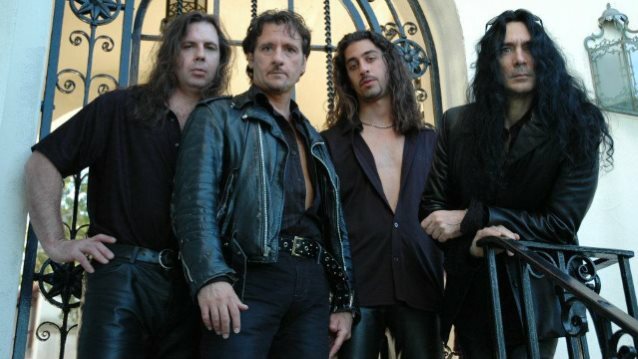 There are big monolithic riffs, moody chord changes, 'classical' type bits, sort of bluesy moments.... 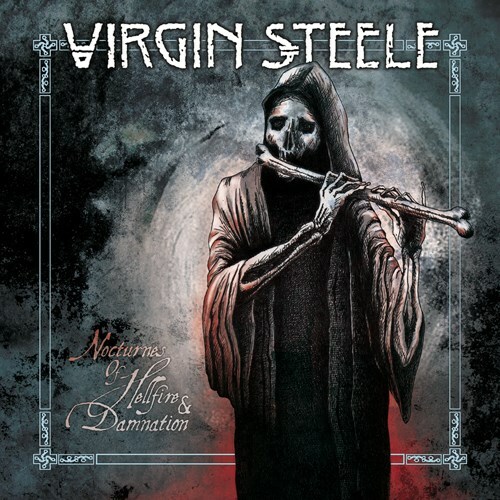 It retains the VIRGIN STEELE signature, but it adds new dimensions to it. In a strange way, it 'feels' to me like it could have been the album we might have made to follow up 'Noble Savage' had I been able to devote all my energies into the more bombastic or progressive side of my musical nature at that time, rather than trying to appease some of the other 'factions' around me who wanted some kind of a 'hit'...whatever that meant at the time. "So, to conclude, we have infused the recordings with all that we have gone through over these past months, every fiber of our being, and I think this album will be something our fans will really enjoy."